Yar’Adua, Give Nigerians Prepaid Metres! By this time tomorrow (May 29, 2008) President Umar Musa Yar’Adua would be one year in office. As usual, he may call for “low-key, sombre celebrations” and “sober reflections” which would not be extended to the obscene gaiety, excessive mirth, hugging, necking and backslapping amidst endless flow of champagne and sumptuous delicacies, in short, the bacchanalian revel that would take place in the name of State Banquet later in the day. He would also record a speech in which he would appeal to us to make further sacrifices and exercise more patience to allow the great seeds of growth, development and incredible plenty which he has been carefully sowing and watering for the past one year (and which he may continue to sow and water till he leaves office) to germinate, grow and spread unimaginable prosperity all over the nation. He would probably spice the speech up with a long list of the phantom achievements he had recorded since he was sworn in and grab the headlines by announcing some really ambitious and big projects he would undertake between tomorrow and the “second quarter of next year.” Needless to add that he may well forget the whole thing before Sunday afternoon. If he is able tomorrow, he may also attend a parade at the Eagle Square, give a short address, or send his irritatingly dull deputy to stand in for him, while he stays at home to rest and conserve some strength for the State Banquet, where Turai, his wife (and she that must be obeyed), cannot wait to star without moderation. Indeed, not even the Servant Leader himself can deny her this day! It is unlikely, too, that the contractors, hangers-on and jobless fellows whose eyes are fixed on the next cabinet reshuffle would heed his call to observe tomorrow as a day of sober reflection. No doubt, newspaper pages would be dominated by full-page colour adverts extolling his “sterling virtues and great vision,” and the “unprecedented achievements of this great son of Africa who has just under one year taken Nigeria to great heights” – the same words they had deployed to seduce Gen Olusegun Obasanjo into his present grief. But if Yar’Adua would take my advice, he should ask everybody to stay at home tomorrow and excuse himself from any grand design by unconscionable fellows in and around government to celebrate failure. I mean abysmal and all-round failure! He should also be man enough to stand up to his restless, limelight-crazy wife and tell her that any State Banquet tomorrow evening would constitute an obscene provocation to long-suffering Nigerians. 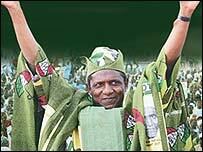 What exactly would Yar’Adua be celebrating? Does he need anyone to tell him that his one year in office has been one woeful story of overwhelming failure? Sometimes I am tempted to feel that this country would have even fared better if this government (or any other one like it) was not in place. At least, the country would have moved faster on the path of development without the crushing burden this burden constituted. Last Saturday evening, I entered a filling station to buy fuel and the crowd I saw there almost scared me. It was when I looked closely that I saw containers of different sizes in the hands of the people. Oh, all those people had come to purchase fuel for the countless generators they use to generate power for themselves in a failed state like Nigeria. As I looked at this large crowd and it occurred to me that many of them may even be storing the fuel under their beds, I shuddered. No doubt, it is only God’s mercy that has prevented the whole of Lagos from going up in flames before now. Take a trip today to the various areas in Lagos, especially, where people are crammed into small apartments like the face-me-I-face-you type of accommodation, where whole families and dependants are piled into stuffy rooms, and observe the room occupants showing off their generators and the fuel they had stored. At night when all these machines begin to roar, emitting killer fumes into the already airless, stuffy enclosures, what emerges is a most horrible situation where a failed and heartless government has cruelly driven its hapless citizens into organizing their own bitter deaths with generators purchased with monies they had probably starved themselves to save. In order to escape the unbearable heat and choking darkness their government and its licensed Agent of Darkness, NEPA/PHCN, have heartlessly plunged them into, they end up creating deadly gas chambers where they enact mass suicides daily. We have regularly heard of whole families being found dead in the morning after an all-night inhalation of generator fumes. For those resilient ones still on their feet, what is left of their sensitive organs by the lethal fumes they abundantly inhale every night are being progressively ruined by the ear-splitting din produced by the countless generators. No wonder cases of hypertension and nervous breakdowns are also on the increase in Nigeria. 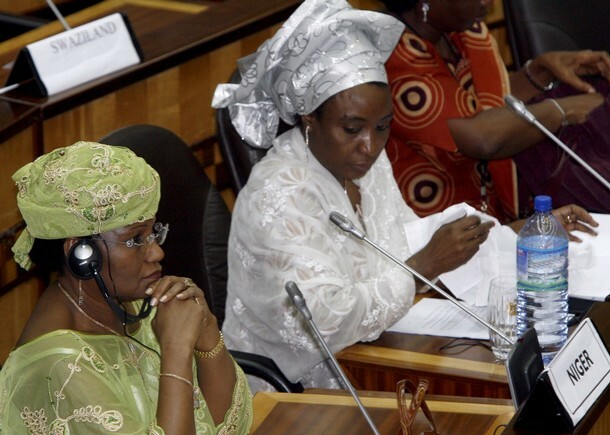 Turai Yar’Adua, (Right): Power Behind The Throne? My view is that as these people whose only offence is that they were born Nigerians develop lung cancer and deadly heart and respiratory diseases and die painful in their obscure corners due to lack of medicare (while their president hops across to Germany from time to time to treat catarrh (common cold) and allergic reactions, their blood would certainly be required at the hands of those who claim to be ruling this richly endowed nation. Night time in this nation has simply turned into several harrowing hours of unbearable torments. In the fairly moderate accommodation I occupy with my family, we usually abandon our rooms every night to cram ourselves into the parlour and my already jam-packed study, because the ear-splitting noise from my neighbour’s generator in the next compound is simply destructive. As the monster starts roaring (and this continues till morning), not even the wall demarcating the two compounds can mitigate its damage. I have this feeling that if I try any day to protest, the man might pour on me all the pent up anger he had reserved for Yar’Adua and, of course, Obasanjo who for his own selfish reasons foisted on us a man who neither wanted to be president nor have any clear idea how to get this nation on its feet. For two months now, NEPA/PHCN has left my neighbourhood in total darkness. We used to complain about irregular power supply. Now, total darkness has enveloped the whole place. Apart from the two or so brief moments I was informed power was supplied, it has been darkness all the way for more than two months now. In the previous months they had managed to flash some flicker of light. Yet despite all these, the huge bills keeps coming. This is nothing but heartless extortion and daylight robbery, actively supported by the Federal Government under Mr. Umar Yar’Adua. A friend who recently secured his prepaid metre was so excited to discover that it was only two hundred naira that he had consumed in a whole month. 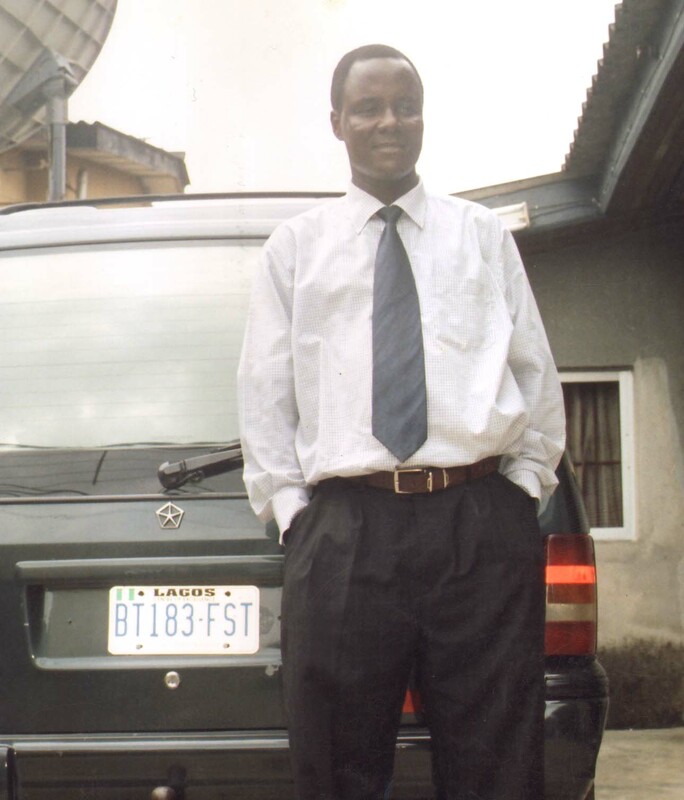 Before now, his monthly bill never came below five thousand naira despite the uninterrupted darkness that engulfed him! What an unarmed robbery! The other day, officials of NEPA/PHCN invaded a widow’s house threatening to disconnect her from their Darkness Supply because she was “not paying her bills.” The woman’s protestations that she was using the prepaid metre only annoyed them further. They hate to hear that anyone is using a prepaid metre because it effectively checks their extortion! So, how long will Yar’Adua allow this robbery to continue? How long will Nigerians continue to pay for services not rendered to them? Why are the irremediably corrupt sadists at NEPA/PHCN frustrating attempts by Nigerians to get prepaid metres? Now, if NEPA/PHCN chooses to supply only darkness, they should let every Nigerian have a prepaid metre so that no one would be compelled again to pay for energy not supplied. It is cruel to force people to pay these bills after they had generated power for themselves at very huge costs and great risks to their health. If President Yar’Adua wishes to distance himself from this heartless, official robbery, he should tomorrow (May 29, 2008) announce a date when everybody in Nigeria must, without fail, be issued a prepaid metre. If this measure would dry up the revenue base of NEPA/PHCN and cause it to fold up, so be it. Nigerians are better off without such an agency that produces only pain, torments, sorrow, heart-ache and death. Next Entry: Now, Will President Yar’Adua Be Kind?